Team Be Perfect is made up of our Board Members, clients or "Players" and our sponsors. The Be Perfect Foundation is 100% volunteer based and has zero paid staff. There are several people (the Board Members and Volunteer Staff) who get the job done every day to ensure that those living with paralysis can have their needs met. It would be hard to find a more dedicated and focused group than our BP players. Despite their physical challenges, they pursue recovery with inspiring fervor. Each one of them engages in “activity-based therapy” including treadmill routines and leg press sets – therapy that has them sweating and grunting to reach the goal of increased capabilities. The people who have linked arms with BP over the last 7 years are incredible. They have been generous with their finances, created amazing art, spread the word to others, and even marked their bodies with our name. Ordinary families and people in our community – people just like you – have risen to the occasion. 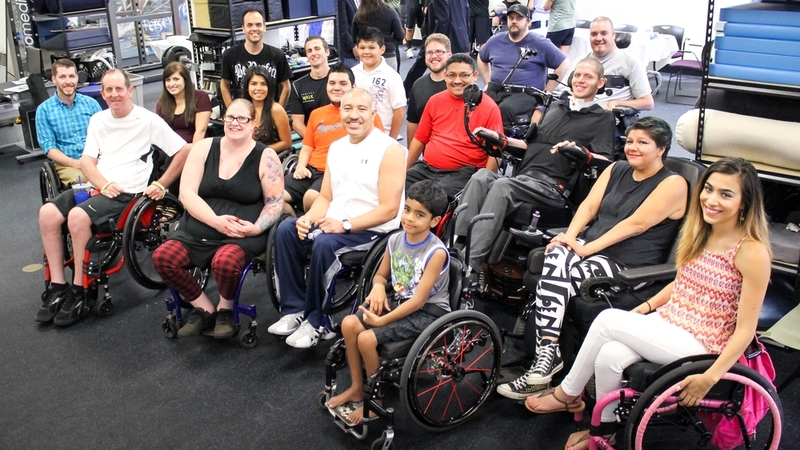 It’s been their faithfulness and support over the years (especially in attending our Annual Fundraiser) that has made healthy living possible for hundreds of people struggling with paralysis. Believe it or not, we’ve got a few crazy people on Team BP who have tattooed their bodies with our mantra. In support of BP founder, Hal Hargrave and the rest of our players, these people have decided they're going to do everything they can to make their lives count. View full list of our corporate sponsors here. Support life-changing therapy. Help Now.